PETER STRAUB is the New York Times bestselling author of more than a dozen novels, most recently A Dark Matter. In the Night Room and Lost Boy, Lost Girl are winners of the Bram Stoker Award, as is his collection 5 Stories. Straub is the editor of numerous anthologies, including the two-volume The American Fantastic Tale from the Library of America. He lives in Brooklyn. "Though he's one of the most successful practitioners ever of the art of scary stories, Peter Straub has never been satisfied with its common limits. These stories show him ranging far and high into the uplands of literary fiction without ever leaving behind the dark impulses and fears that make his work so powerful." "If the only mass-market horror writer you've ever read is Stephen King, you owe it to yourself to check out Peter Straub....These stories take a while to work on you. Reflection and rereading is sometimes necessary. But nobody said art is always easy and readers who invest in this collection will feel more rewarded than not." "Within the collection there’s an evolution of thematic concerns and an increasing willingness to experiment with form without sacrificing Straub’s trademark narrative drive, his impeccable style, his fierce wit and deep empathy for his characters, or his ability to move his readers. Peter’s stories hit you with a bouquet of flowers and a cudgel at the same time." 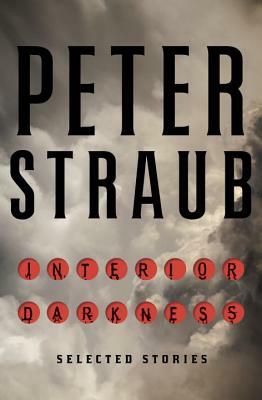 "Brilliant, spooky, almost addictive in the way the stories roll out before the readers’ eyes, Interior Darkness is the definitive collection of Peter Straub’s best short works....Interior Darkness is the perfect collection for those who want a taste of the Straub magic but haven’t braved diving into any of his brilliant novels. And, for those familiar with his work, it is a chance to revisit some classics that deserve a fresh release. A “Best of” or not, Interior Darkness is sure to entertain and dazzle all who take in its exceptionally crafted words." "A must-read for the author’s fans and a perfect introduction for anyone new toStraub’s brilliantly original and unsettling brand of fiction."